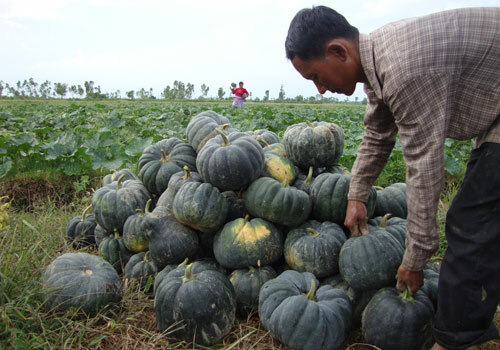 Pea cultivation,whether field or garden has not been a very successful venture in Manipur even though farmers in the state take it up on small scales without much profit .Whether the pea grown in field or garden,in Manipur they are almost all harvested as green pods for culinary /vegetable purpose. 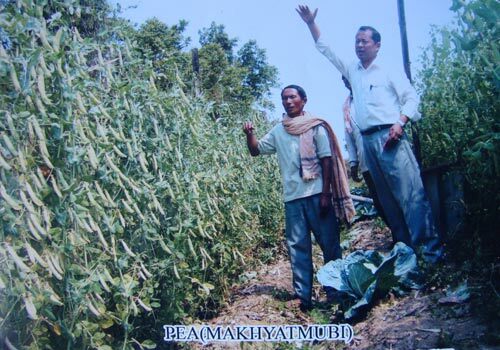 KVK,Thoubal encountered a very innovative method of cultivation for a very popular local garden pea for its taste as being practised by a beneficiary of KVK Thoubal, Shri Sapam Lukhoi Singh of Wabagai Thingel Leikai,Thoubal District.The main features of this technology are wide spacing (2 x 2)ft, sparse staking, GI wire x Nylon thread netting,intercropping to use space between two plots of pea etc. 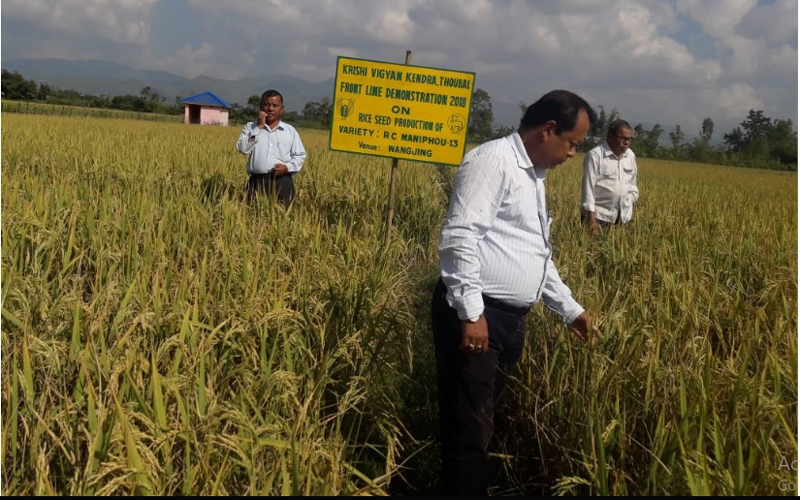 The method was assesed by KVK Thoubal and a few modifications were made in plot orientation, fertilizer dose and method of application, giving a very high yield and benefit cost ratio reaching upto 4.8:1. 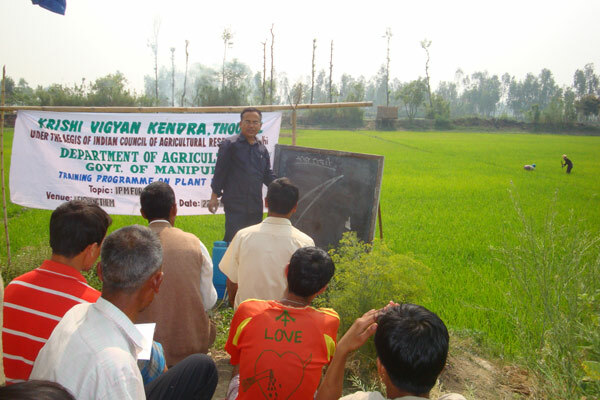 The method was demonstrated sucessfully at ten different locations and was popularised throughout the district. 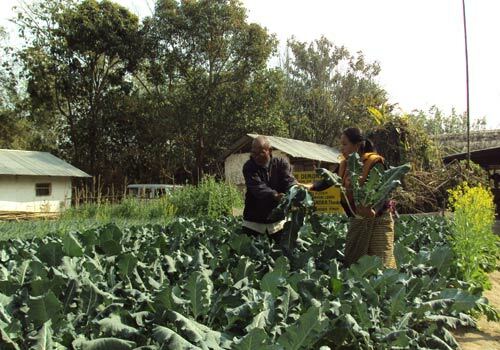 With an intercrop of cabbage,the benefit cost ratio increased to 11:1. 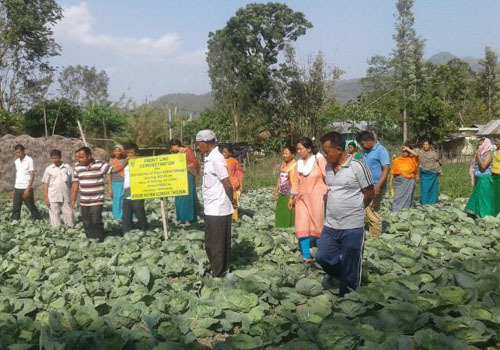 Seeing the success of the method demonstrated,even though a little difficult to practise the method on large scale, farmers have been able to cultivate upto 0.5 ha individually. 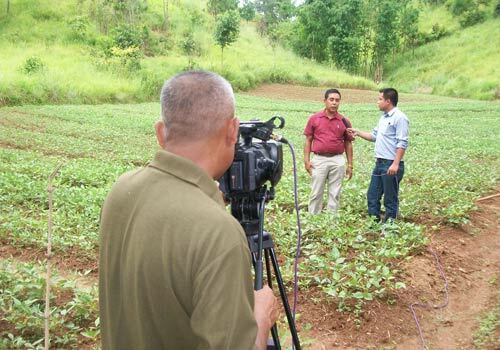 This is a great achievement. 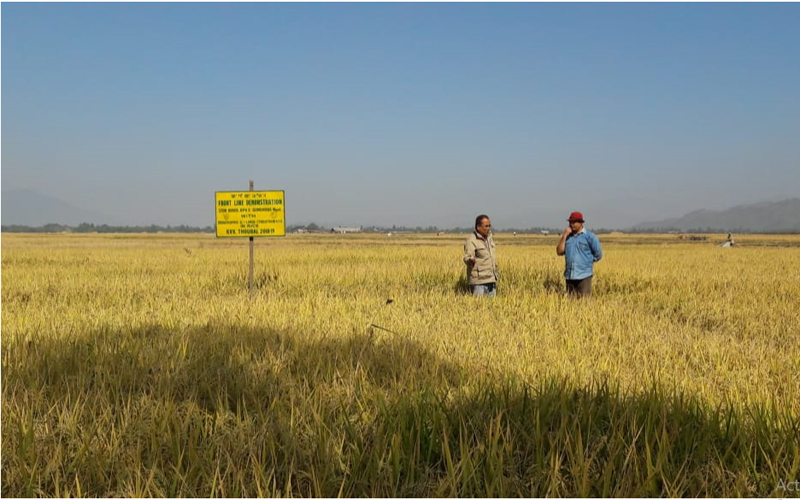 Shri E.Rajen Singh of Warakhong (9856114191):Shri W.Koklei Singh of Wabagai(9862122089):Shri K.Jayanta Singh of Wabagai(9856116949); are some of the successful farmers of Thoubal district. 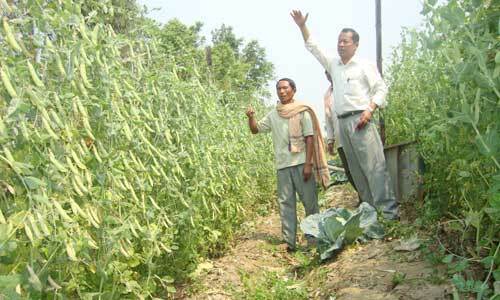 Shri Sapam Lukhoi Singh has guided these farmers to produce truthfully labelled seed of this pea to meet the increasing demand.